We’ve got spirit, how ‘bout you? 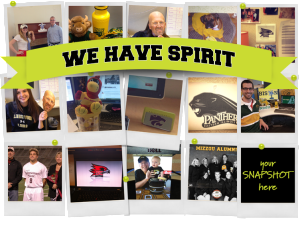 Show us your school spirit for a chance to win a $25 Visa gift card from KellyMitchell! Your college experience helped prepare you for your career and launch you in to the workforce. How do you keep your Alma-mater spirit alive in the workplace? We want to know! Snap a pic to enter our “Back-to-School” contest on our Facebook page: http://on.fb.me/1dVAjZR Hurry! Contest ends Wednesday 9/11.